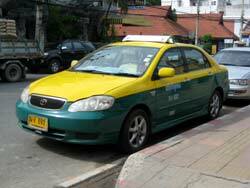 New to Thailand and are looking for a Bangkok to Pattaya taxi service? Many people use Mr.T Taxi Pattaya (link to his web site below) and other love to take a taxi with Mr.Toom from Pattaya. They are both preferred reputable companies for frequent visitors to Pattaya. Many expats use their services as well. 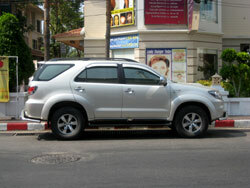 You can even go from Pattaya to Bangkok for your return to the airport with them too. They are both professional and reliable companies. When you get out look at the signs and find your name. The driver leads you to the taxi, loads your luggage and off you go. You know how much it will cost you too. You will pay the same as if you would book a taxi at the airport and probably less. The two Companies I recommend have been in business for years and very very rarely do they miss an appointment at the airport. These companies have their own drivers with their own cars. No metered taxis. Air-con, courteous drivers who want ask you for a tip. Of course you can tip but you do not have to. If you would like a female driver (especially if you are female yourself) just ask the taxi company. How Else To Get From Bangkok To Pattaya? This is one thing that can make your travel to Thailand and your transfer simple. You can also take a bus to Pattaya that you will be taking from Bangkok airport. If you do not know Bangkok airport and Thailand well or it's your first time I would suggest you book a Taxi to Pattaya in advance.